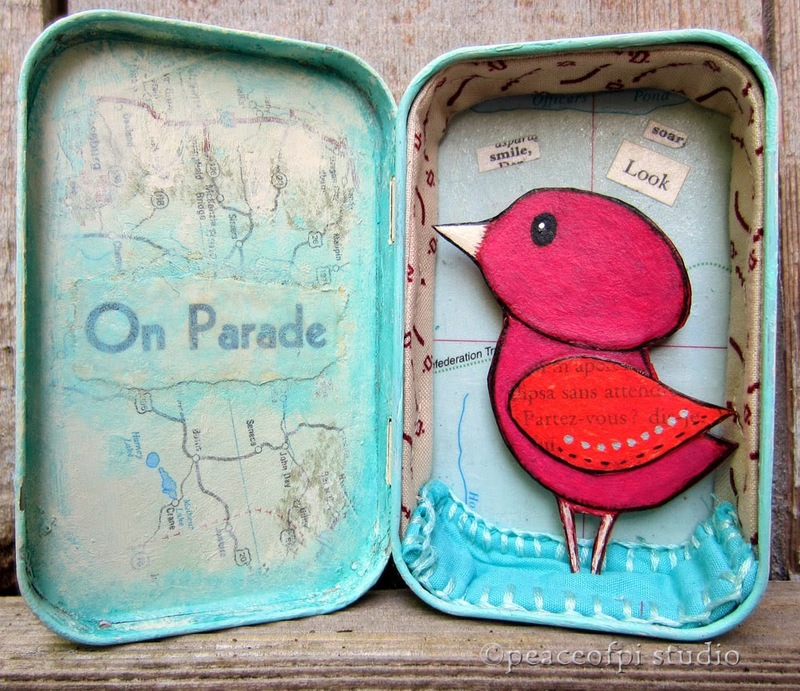 Red Bird on Parade is a mixed media altered tin. Fabric, paint, and map segments surround the red bird who appears to be ready for a parade. Whether this feathered fellow is watching or participating is an interesting question (on the wing, partez-vous? means - are you leaving? ).